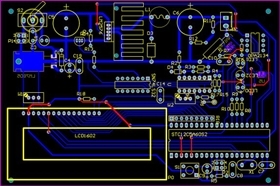 How to design an excellent PCB product? How to analyze where the problems lie when the PCB loses its efficiency? 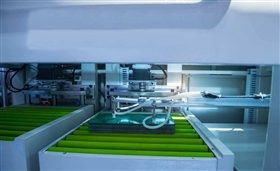 How to improve the rate of defect of automotive PCB? To figure out the accurate reasons or mechanisms why PCB loses the efficiency or is defective, we must follow the basic principle and analysis procedure, or important information may be omitted, which makes it impossible to continue to conclude the reasons for the mistakes or even the possibility. Generally, the basic procedures must be firstly based on efficiency failure to figure out the mode and place of efficiency failure, namely, failure location or malfunction location by collecting information, testing functions, electric performance test or some simple appearance inspection. For some simplified Cheap PCB Manufacturing or PCBA, it is very easy to locate the place of efficiency failure, whereas, for complex BGA or components or boards enclosed with MCM, defects are not easy to be observed by microscope. When this occurs, other aids may be adopted to figure it out. The next step is to make an analysis of the efficiency failure, that is, to make an analysis of the reasons for efficiency failure or mechanisms for defects in PCB with the aid of various chemical or physical methods., such as, insufficient welding, pollution, mechanical damage, moisture stress, medium corrosion, fatigue damage, CAF or particle transferring, over stress, etc.. The next step is an analysis of the reasons for efficiency failure, namely, the analysis of mechanism of efficiency failure and processing procedure. There are many reasons which cause the efficiency failure, so it is necessary to conduct some necessary experimental verification. Generally speaking, you should do everything you can to conduct experimental verification to figure out the accurate reasons for the failure, which will provide a definite base for the improvement in the next step. The final step is prepare the analysis report for efficiency failure in which facts are clearly stated, logic reasoning is rigorous and the content is well organized with no imagination based on the experimental data, fact or conclusions. In the course of analysis, make sure that analysis should be from simple to complex, from the outside to inside, from no damaging samples to using damaged samples. Only in this way can it avoid losing key information or introducing new man-made failure mechanism. Just as in an traffic accident, if the party who destroys or runs away from the accident scene, it will be difficult for the police to define responsibility however skilled the police are. At this time, the party who destroys or run away from the scene shall undertake full responsibility according to traffic regulations, which is the same in the case of PCB or PCBA. No analysis is possible once the failure scene is destroyed and the real failure reasons will never be figured out once the circumstances of the failure scene are destroyed or damaged, especially when the failure samples are limited.